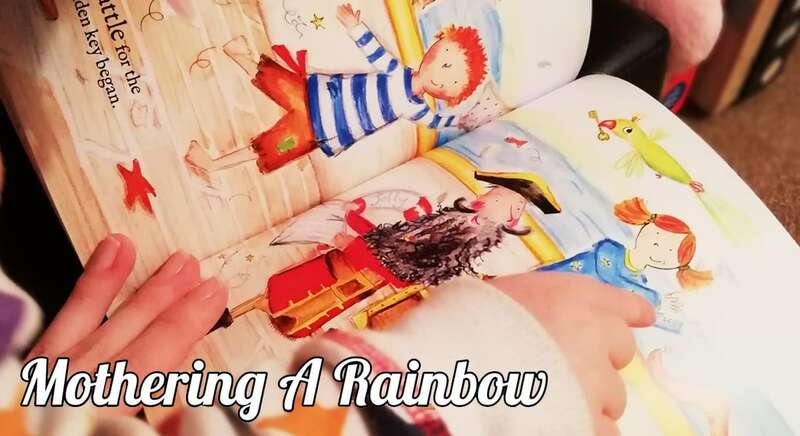 Recently, we teamed up with Amy, who runs an excellent parenting blog named Mothering a Rainbow, which features reviews and happenings from Amy's day-to-day life with her beautiful little girl Ellie. Also & equally as important Amy writes about coping with the unimaginable heartbreak of losing her son - Jason. We at Bang on Books absolutely applaud Amy for her courage and willingness to share her story & Jason's legacy with the world through her blog. The process of making the personalised book was so easy. Bang On Books has a bright, colourful and user-friendly website that guides you through the process of creating your own personalised book. You can add a photo, choose what the character looks like and write a personalised message for the inside. 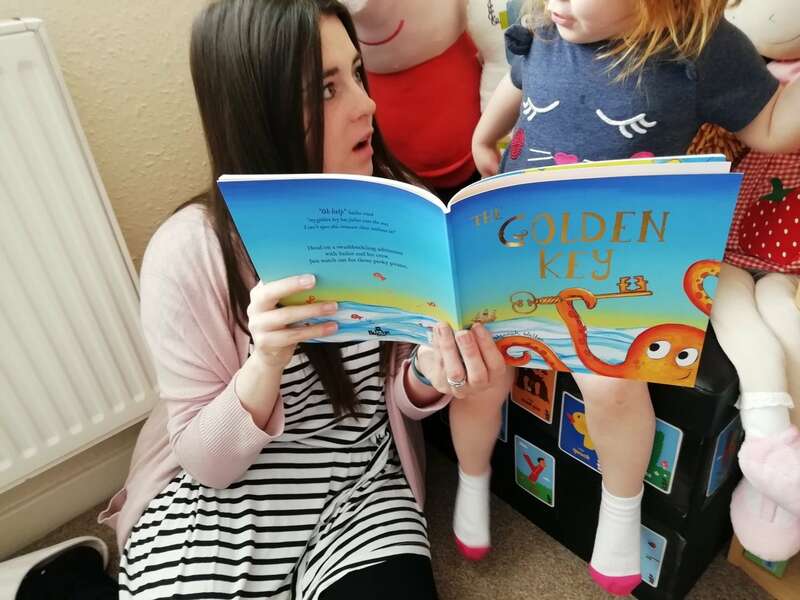 I chose The Golden Key as Ellie loves sea creatures and adventurous stories, I could have chosen Unicorn Oo which seemed a bit more girly however I was drawn to The Golden Key because the picture on the website showed a girl character rather than a boy (very well done!!) and I quickly remembered it didn’t matter which seemed more girly but what mattered is which Ellie would enjoy more. I was surprised at how quickly the book was processed and posted out, it seemed to take only a few days from ordering (late night shopping is THE best!) to it being delivered and I got a little giddy when I realised what was waiting for us on the doorstep. And the excitement did not stop there! 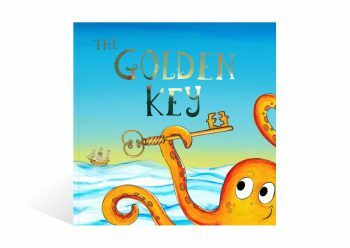 The Golden Key is beautifully illustrated and colourful. Each page gives you something to look out for (Ellie’s favourite is finding the “naughty octapus” hiding. She asks to read “Ellie’s book” at least once a day since it arrived. She loves seeing her own face turn in to the character of Ellie and I love that we have a book that captures her at 2 years old and we have already made memories of her imagining herself on a swashbuckling adventure with Sailor and his crew! We have since heard from Amy that The Golden Key is requested every night (sometimes twice!). This is something we at Bang on Books are incredibly proud to hear. The sole reason we create our books is to spark the imaginations of tomorrow's little heroes. A huge thank you to Amy for an absolutely stellar review, which you can read here!